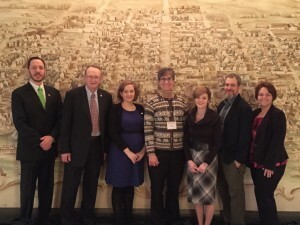 Ohio representatives from ASCLS, AMT and CLMA attended the 2015 Legislative Symposium. The Legislative Symposium provides a great education on the how-to’s of lobbying. ASCLS works with CLMA, ASCP, AGT, and AMT on the Legislative Symposium each year. Through this ASCLS tradition that originated in 1989, the members of these organizations meet with their Representatives and Senators on Capitol Hill as a unified front on behalf of our profession. Each year these leading organizations urge their members and leaders to come to Washington to provide a visible and informed voice, and make our concerns known inside Congress. Attendees are coached on presentation techniques so they can effectively talk to their congressional representative during their appointments. They are well received in the congressional offices. Attendees return home from Washington with first-hand knowledge of the political system in action and confidence that they make a difference. Representatives from Ohio and Kentucky at the 2015 Legislative Symposium. 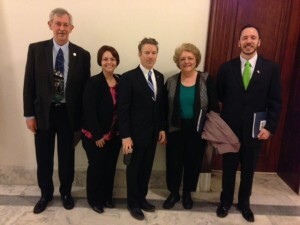 CLMA member Ed Nartowicz and ASCLS members Melanie Giusti, Dr. Linda Gorman and John Beiting met with Sen. Rand Paul (R-KY) as part of the 2015 Legislative Symposium.